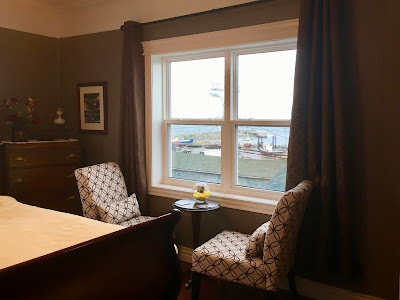 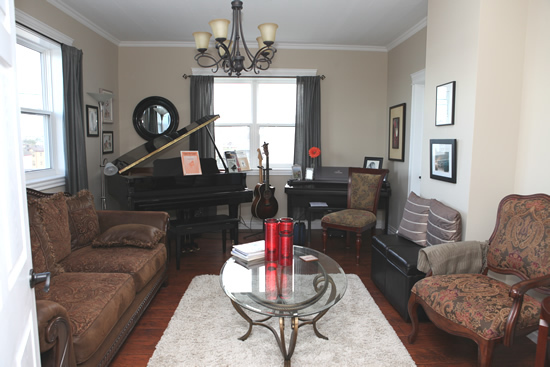 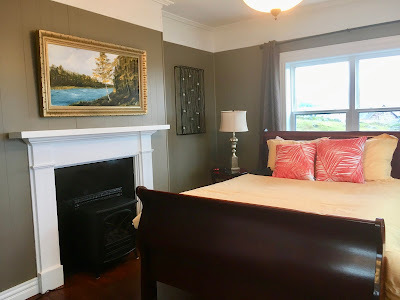 We stayed three nights at the Harbourview B&B and cannot sing its praises loud enough. 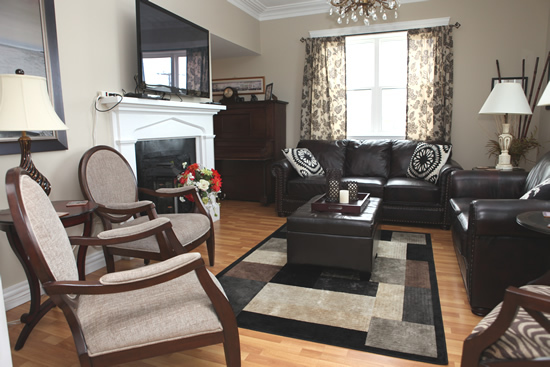 Their beautiful b&b overlooks the harbour and each room offers a spectacular view. 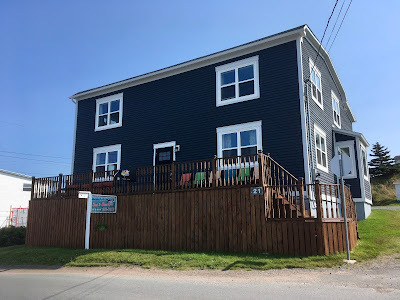 Colleen and Terry made us feel welcome the minute we arrived and their infectious humour, delicious breakfasts, spectacular 9:00 PM snacks, island anecdotes, songs and stories combined with their amazing attention to detail swept our b&b experience to a whole new level. 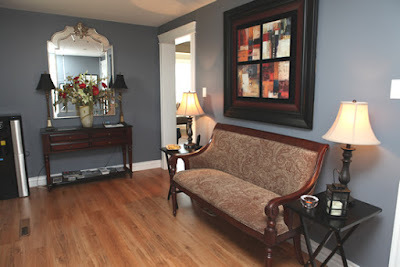 In short, they spoiled us for life and we are certain no other b&b will every compare! Everything Colleen and Terry serve their guests is homemade including jams, relishes, bread and moose sausages - the latter of which John and I enjoyed so much we requested all three mornings of our stay. 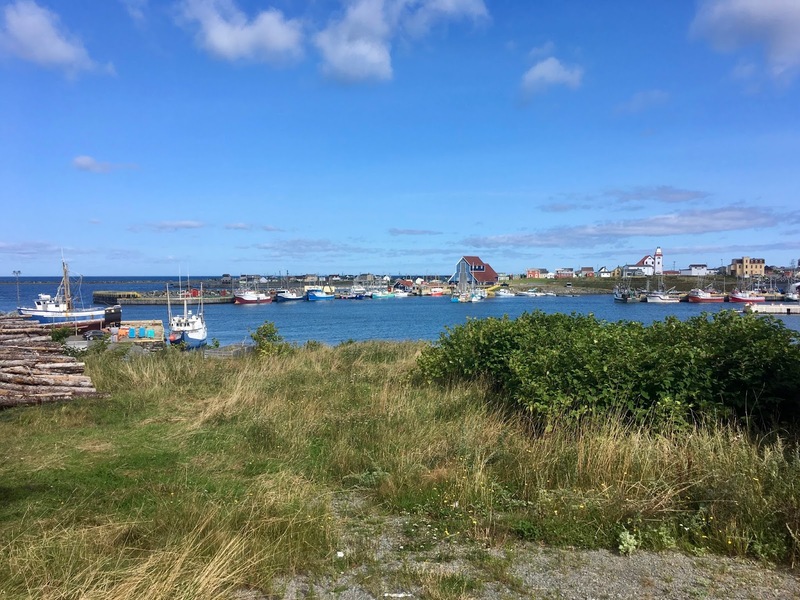 The community of Bonavista has about 3500 permanent residents and has much to offer visitors. 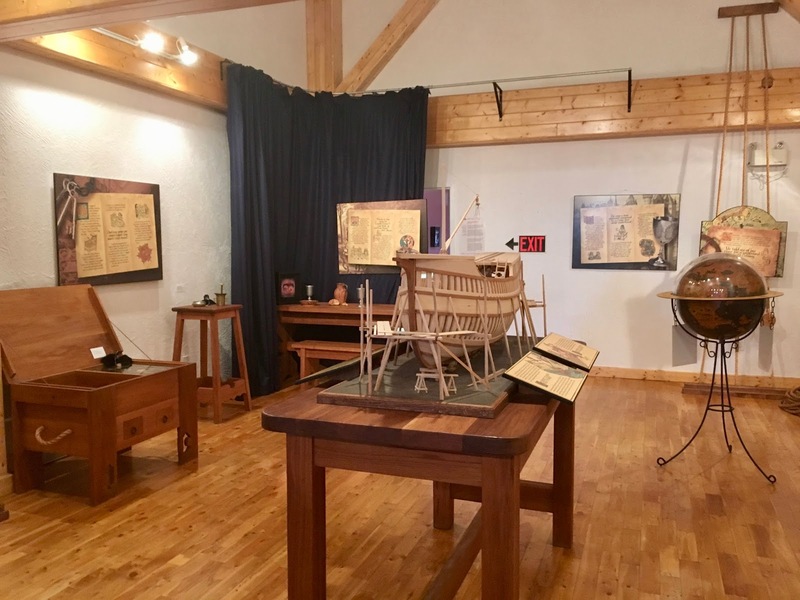 The Matthew Legacy Museum brings to life the explorations of John Cabot and is home to a replica of his ship The Matthew. 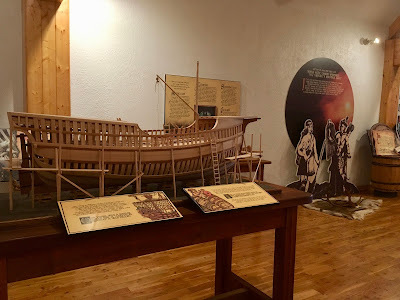 It was impossible to get a photograph of the entire ship which gives some indication of the size of the vessel. Built by local craftsmen to celebrate the 500th anniversary of Cabot's voyage the ship faired badly after having weathered a number of summers outdoors. 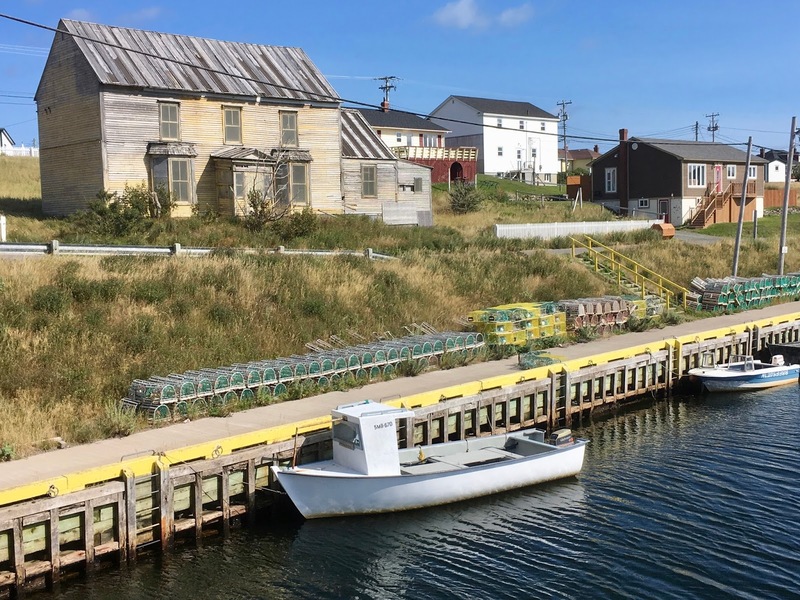 As a result it now remains permanently inside on dry dock. 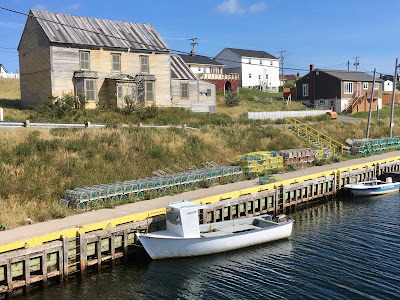 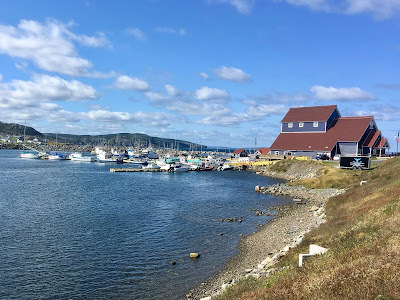 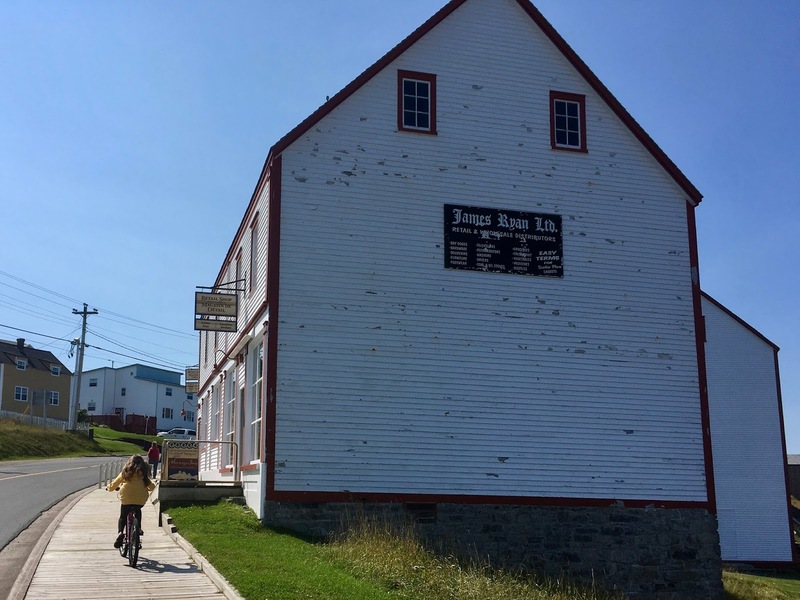 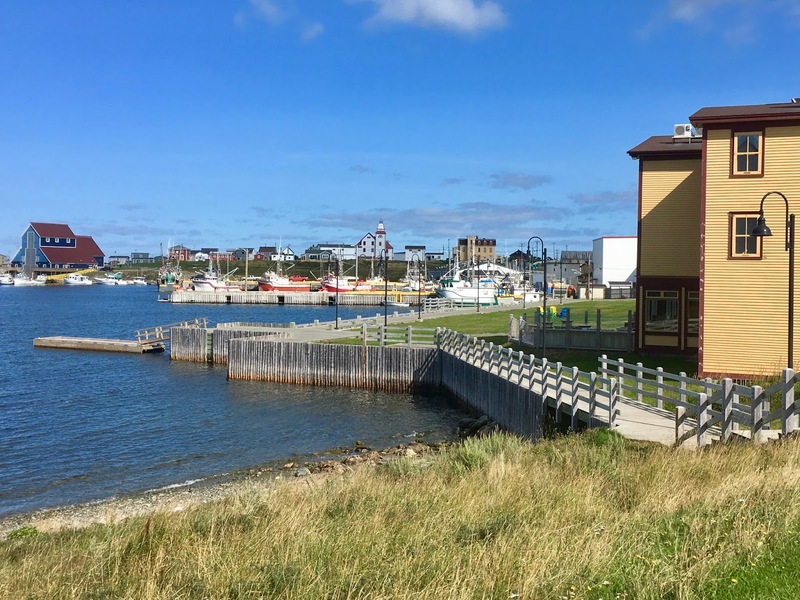 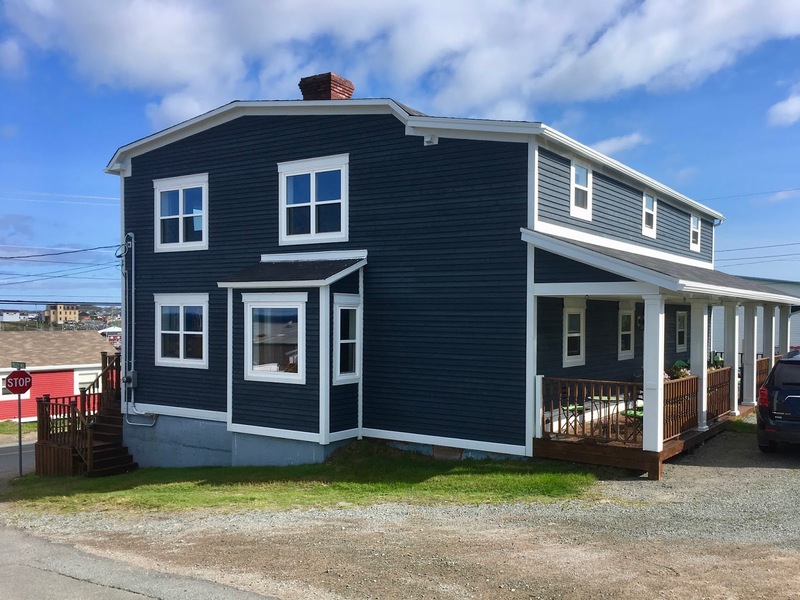 Touring the picturesque village of Bonavista one is immediately aware of its maritime history and setting. 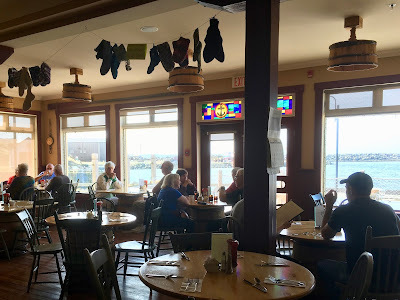 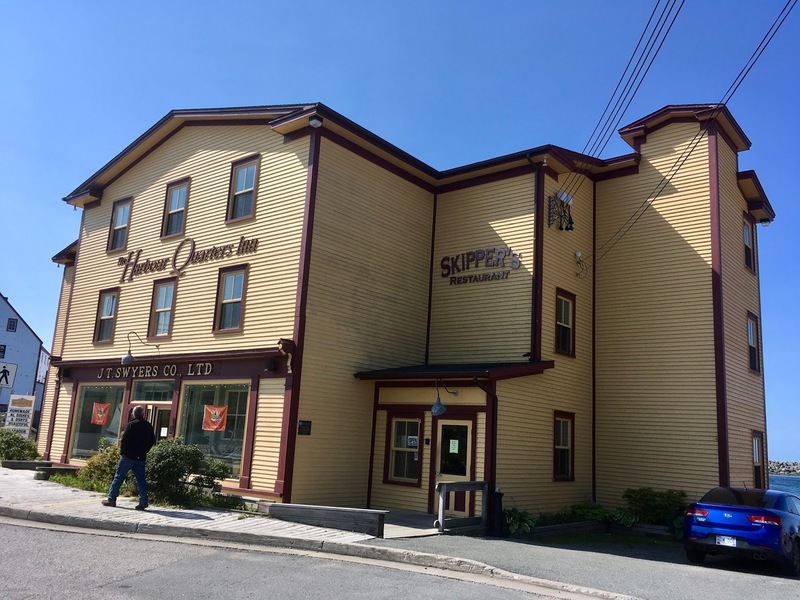 Just down the road from the Harbourview B&B is the Harbour Quarters Inn and Restaurant where we stopped for lunch. Take note of the hand knitted mittens and hats displayed on an indoor clothesline above our heads. All items are for sale. 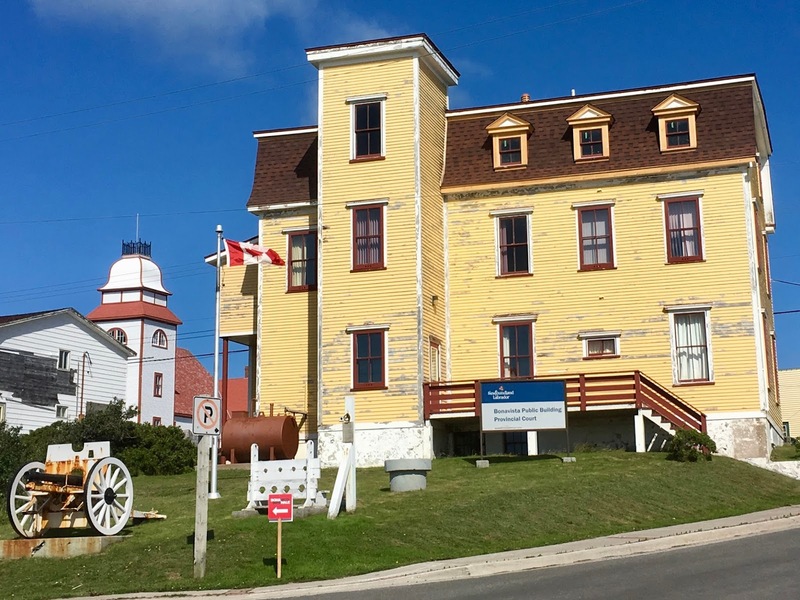 Continuing up the hill is the Ryan Premises National Historic Site. 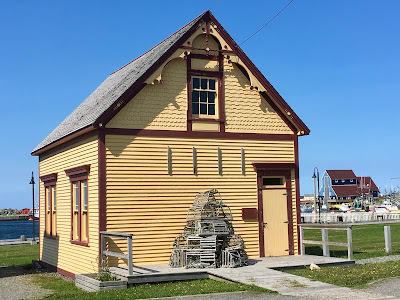 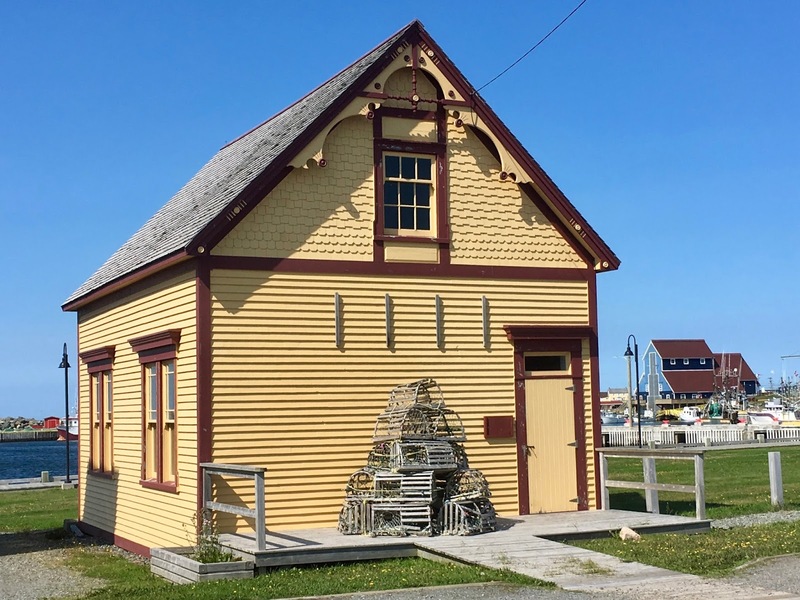 These buildings are an archive of local information regarding the cod industry and life in Bonavista. Sadly, time did not permit us to view all of the exhibits, but what we saw was memorable and well worthwhile. 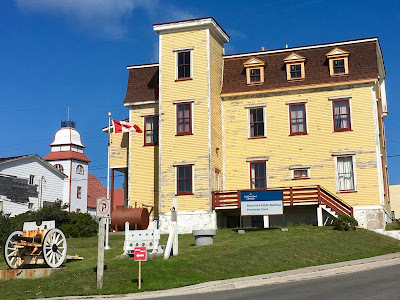 Next post features the Bonavista lighthouse, John Cabot, and the Dungeons Provincial Park.